ADUN SPEAKS | Social media is abuzz with the news about a forum due to take place in Universiti Kebangsaan Malaysia on the “polemics” of Indian migration to Malay Peninsula. I understand that it is an intellectual dialogue on the facts surrounding the mass migration of Indians to Malay peninsula. As a part of series of academic dialogues by UKM’s Institute of the Malay World and Civilisation (Atma), the forum titled, "Polemik kehadiran masyarakat India di Semenanjung Tanah Melayu: Migrasi atau Imigran?" (The polemic of Indians arriving in Malaya: Migration or Immigrants?) is to be held next Wednesday. The forum will feature four panellists, namely Professor Ahmad Murad Merican of USM, Nasha Rodziadi Khaw from USM, Prof Zuliskandar Ramli of UKM and Azharudin Mohamed Dali of UM. Whether it is “polemics” or not, is still a debatable topic but I think the mass migration of Indians to Malaya is a settled question. However, that does not stop anyone from exploring the facts of the mass migration further. Debates and forums are healthy, in the intellectual sense. Intellectual discussions on the subject matter may shed light on issues that have been overlooked in the past. I believe in the freedom of academic expression. Firstly, I don’t understand why the panellists would want to debate, whether it was migration or immigrant. 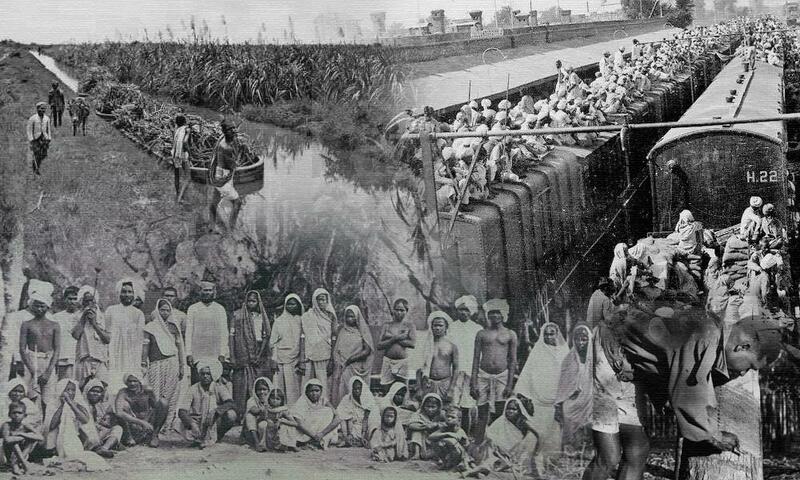 It is a settled question, that mass migration of Indians happened during the colonial period. I believe the timing of the forum to discuss the “polemics”, is motivated by two events. One is the claims that mass migration of Indians to Malay peninsula happened about 2,000 or 3,000 years ago, and the other is the forum on Indian Heritage in Malaysia organised by Penang Hindu Endowments Board. There is a feeling among academics that there are attempts to tell different version of stories, contrary to the facts, on the subject matter. Hence, such forums are being organised to explore the subject further. As far as I’m concerned, the mass migration of Indians to Malay peninsula was a settled question. Prior to the arrival of Islam to the Nusantara, the region was predominantly a Hindu-Buddhist region, where the influence from Indian subcontinent was evident in the locals’ lifestyle. The influence could have been brought by the Indian merchants and traders. But, there is no evidence that, there was a mass migration from India, about 2,000 or 3,000 years ago. The Hindu-Buddhist influence itself is not an evidence for such claims. In 1025, the Cholas forces attacked and ransacked the part of Nusantara, including Kedah and other west coast parts of the Peninsula. The Cholas invasion was triggered by the bitter trade rivalry between two kingdoms, when the Sri Vijayan Empire tried to monopolise parts of the Indian Ocean and Malacca Straits to provide concessions to Chinese traders, over the Cholas traders. This angered the Chola King, Rajendra Chola I, who ordered the invasion of Sri Vijayan empire. The Cholas successfully invaded strategic ports of Sri Vijayan empire, including Kedah. However, the Cholas had never established their rule in any part of the Nusantara, but was just conquering the places for a period of time, apparently for 66 years only. There was no evidence of Cholas engineered mass migration to any part of Nusantara in that period. Notable mass migration of Indians to Malay peninsula, happened during the colonial era. The British, who controlled the Straits Settlement, needed labourers to work, hence brought the Indians to work in their estates and Chinese to work in the tin mining sector. This phenomenon that happened about two centuries ago, definitely should be considered mass migration, where many of those who came to peninsula stayed on here and considered the land as their home. While I believe, no intellectual dialogue, forum or seminar should be stopped for exploring into the history and facts, I also believe such forums should be inclusive. Participation of non-Malay academics in such forums would simmer down the sensitivity, where some people tend to approach the subject matter with emotions, rather than a factual point of view. SATEES MUNIANDY is the assemblyperson for Bagan Dalam.